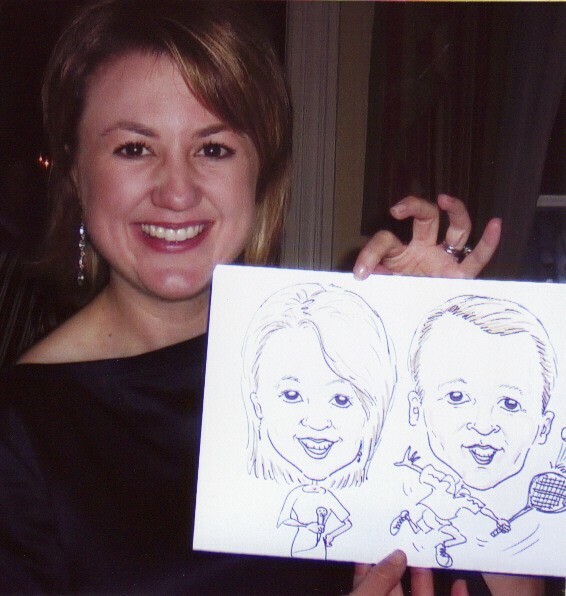 Hire artist Nito Muraco to draw each of your guests in 3-5 min.! Nito will draw each person on a high-quality, heavy-stock paper, then insert it into a clear plastic bag for its protection and also for easy viewing by other guests at your party or event! Nito has worked for several different company parties, picnics, holiday events, as well as birthday parties, wedding receptions, grad night parties, awards shows, sporting events, block parties, bar and bat mitsvahs, etc.